Our Dockside Story is the first self-guided part of the tour. Wander around and discover fascinating tales about the birth of the whisky industry and Glasgow’s history, featuring live footage and animation bringing history to life. Then who better to show you around the workings of the distillery but the manager himself? Alistair will take you through the step-by-step process of handcrafting the distillation of the new make spirit. Meet our lively craftsmen as they use their traditional methods and time-honoured skills. Enjoy the spectacular view over the River Clyde from our gleaming contemporary Still House. 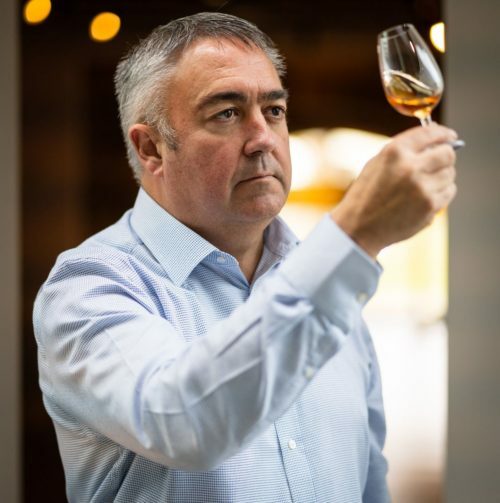 Alistair will guide you into our Blenders Room with magnificent views, where you’ll taste our fresh new make spirit compared with our 6 month-old spirit, complemented by delicious canapés. This gift voucher entitles two people to enjoy the Distillery Manager Tour at The Clydeside Distillery. To book your tour please call 0141 2121 401 or email info@theclydeside.com with your voucher barcode.